Foam rings set as alternative to rope quoits. Lightweight foam rings are great for any toss game or activity. 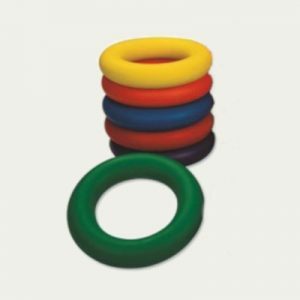 Made from durable molded polyurethane foam, these rings have a 25 cm outer diameter and are 5 cm thick. This foam rings set is a great alternative to rope quoits where texture sensitivity on hands is a concern.